Earn up to 74 Kredits. 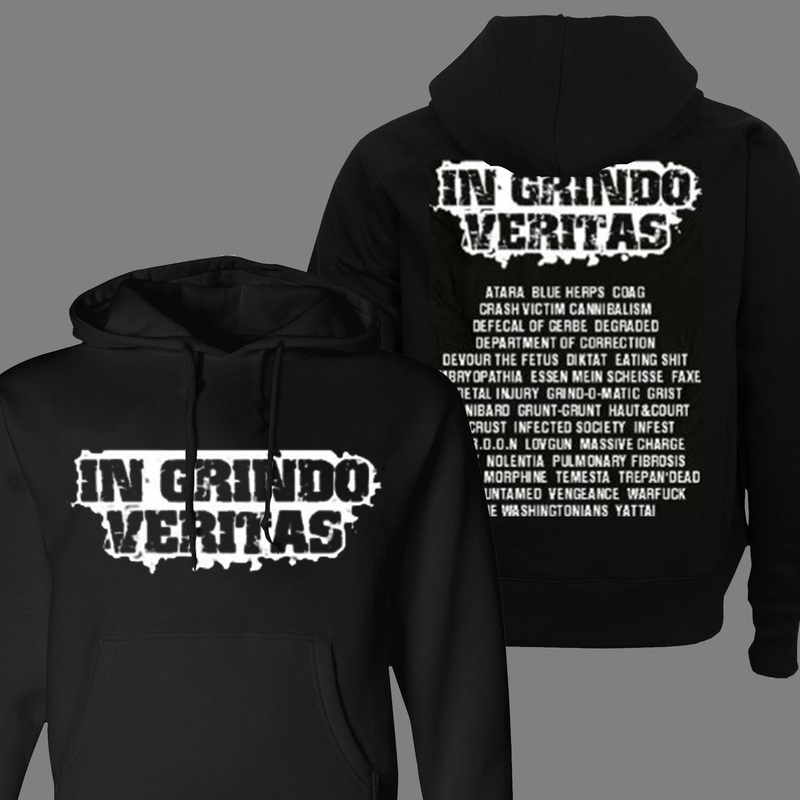 Black Fruit of the Loom male / unisex hoodie (“pull over sweat shirt”) with white “In Grindo Veritas” logo designed by Luis SENDON (MACABRE, LOOKING FOR AN ANSWER…) on the front and white logo and artists names on the back. Last copies! No future reprint!